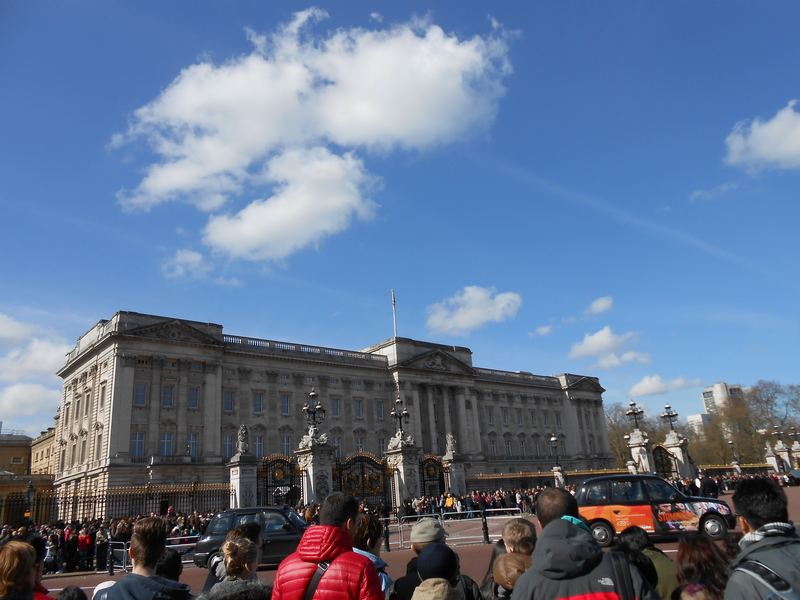 Second on our Total London Experience Tour was the Changing of the Guard at Buckingham Palace. As you can tell it’s pretty packed. 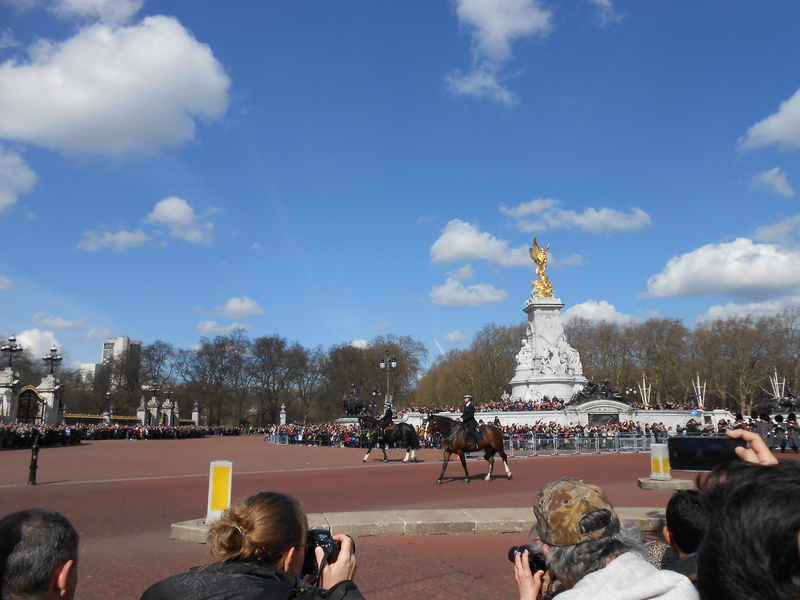 Our guide didn’t have us cross the street to be either in front of the statue or the palace because he worried we would get trampled. 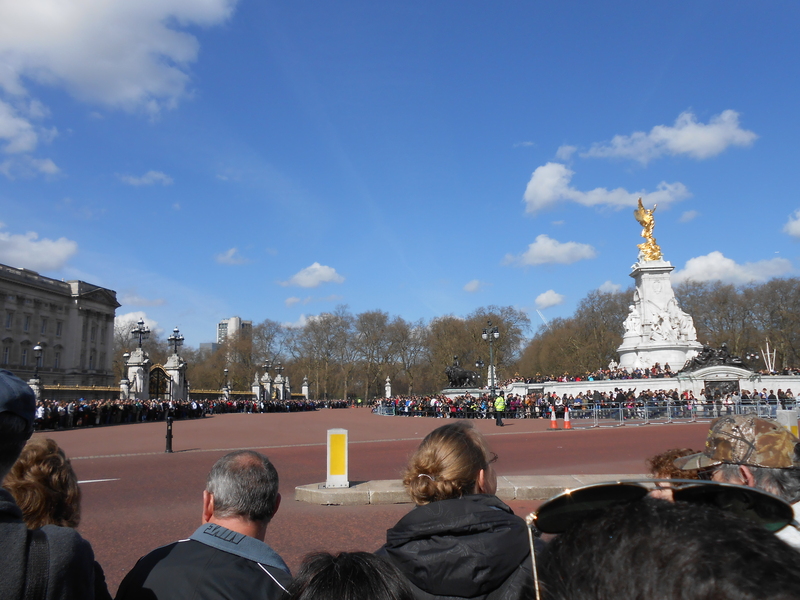 Arrive early if you want to see the crossing of the guard and go online to check and make sure they are doing it. 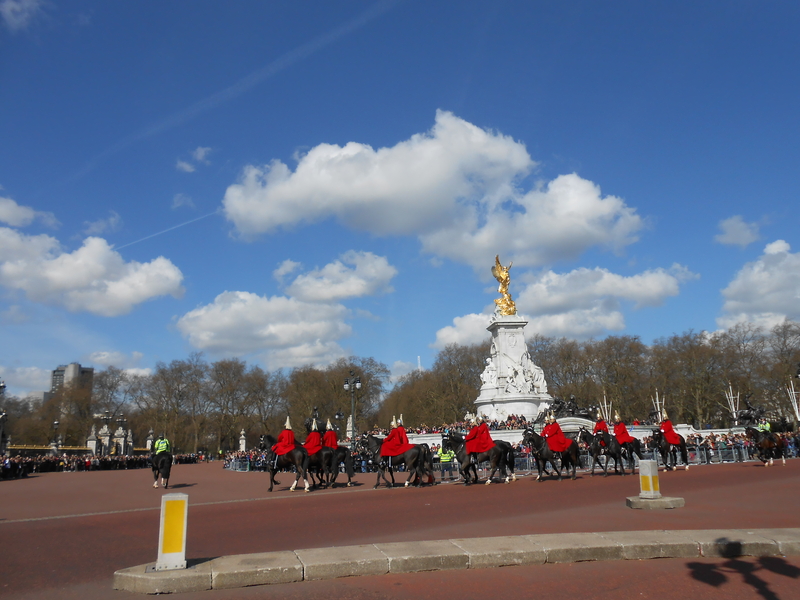 Certain times of year there isn’t a changing of the guard, and during different times of year the uniform is different as you can tell in the below photo. There isn’t that much of a need for a guide to watch this. They stop traffic for the changing of the guard and there was construction going on behind us and a police officer came over and told them to take a break for a bit. 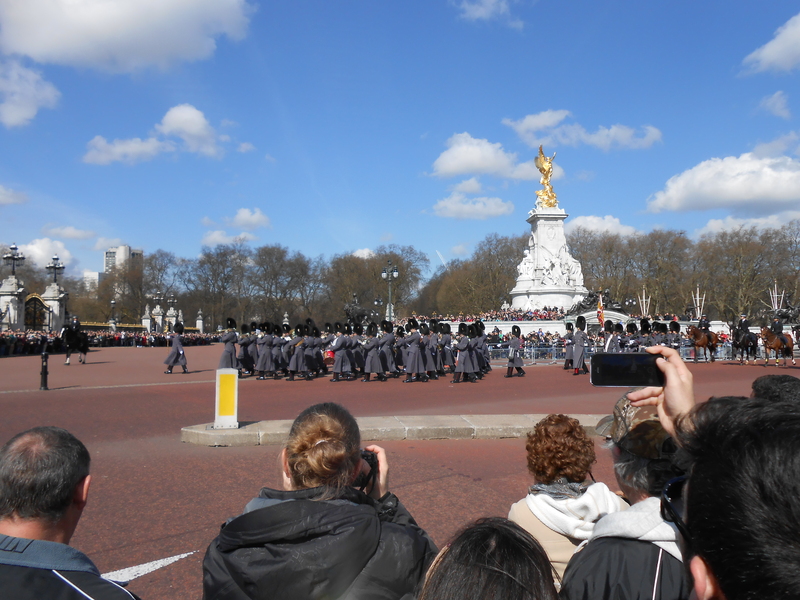 It was cool to see the changing of the guard, but this is free so if you arrive early enough (like more than an hour) you should be able to get a good spot and view.